Fab Glass and Mirror, the Ohio based growing glass and mirror products online business has been recognized for mastering the art & science of a growing business in the glass and mirror industry. Fab Glass and Mirror is a top manufacturer and distributor of glass table tops and glass mirrors. Hillard, OH, January 15, 2019 --(PR.com)-- Fab Glass and Mirror has proudly announced that it has recently got listed in the 2018 Entrepreneur 360™ List. Based in Ohio and Florida, Fab Glass and Mirror is one of the fastest growing companies specializing in manufacturing and distribution of glass and mirror products. Moreover, the company specializes in offering all kinds of glass tabletop products, mirrors and a wide range of tempered, laminated, replacement and crackled glass. Furthermore, Fab Glass and Mirror is an emerging online business that has an overwhelming digital presence with all its products featured and available online through its e-commerce store. “We are very grateful for listing our online glass business in the 2018 Entrepreneur 360™ List, and it is indeed a moment of great pride and joy for our team,” said Ahmed Mady CEO of Fab Glass and Mirror, while talking about this listing for 2018 Entrepreneur 360. “This list basically identifies 360 small businesses from around the globe each year that are mastering the art and science of growing business, and we are really delighted to be a part of this list,” he added. Headquartered in Columbus Ohio, Fab Glass and Mirror has been featured on this year’s list on 191st number. 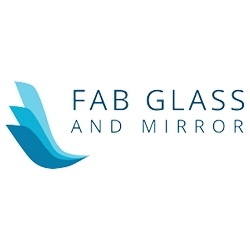 Fab Glass and Mirror is a recognized industry leader supplying some of the finest glass products and services to consumers, businesses, distributors and contractors. The company follows strict quality control guidelines and procedures, and the team takes great pride in delivering some of the highest quality products and services. Fab Glass and Mirror has a friendly and effective online ordering system, offering glass products on affordable rates that are unbeatable in the market, without compromising the quality of its products or services in any manner. “We’re proudly customer service oriented, and we offer warranty and satisfaction guarantee on all our products,” added Mady. This is only one of the reasons behind our phenomenal reviews and testimonials. “We invited companies to apply and evaluated them based on five metrics that are impact, innovation, growth, leadership and business valuation,” said the spokesperson of the Entrepreneur, while talking about the recently published 2018 Entrepreneur 360™ List and its selection criteria. “These 360 small businesses have therefore mastered the art and science of growing a business, and we congratulate them all for making it to our annual list,” he added.